At College Villas we want our residents to feel at home. We offer one bedroom and two bedroom apartments. All of our floor plans are designed with our residents in mind. 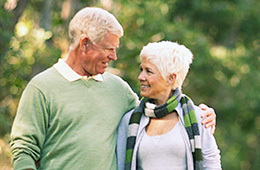 Our main goal is to help our residents attain the retirement lifestyle they have been looking forward to. Our 226-unit community features one and two bedroom apartments that include a fully-equipped kitchen, living room, dining area, bedroom, and washer/dryer area. Apartments range in size from 500 sq ft to 844 sq ft.
College Villas is part of Retirement Housing Foundation, a national, non-profit organization.